My Credit was Ruined After my Divorce. What Should I Do? A: First of all, let me say that I’m sorry your fiance is having problems getting a mortgage, and that his ex‑wife appears to have contributed to the damage to his credit rating. However, I’m afraid I have some bad news for you as it pertains to his marred credit rating and this mortgage debt. The fact of the matter is: since they were both co‑signers on that previous joint mortgage, they are both legally liable for it and both responsible for paying the debt. The fact that she canceled the direct debits to be paid for the mortgage and the fact that he actually put money into their joint account, from the lender’s standpoint, is completely irrelevant. Ditto for the credit-scoring companies. In all candor, all the lender and credit-scoring firms care about is whether or not the mortgage payments were made. They don’t care why payments were delinquent; they don’t care if there was divorce involved or if there was intentional financial sabotage. They don’t care whether or not there were medical bills, bankruptcy or any other personal problem. Well, actually, bankruptcy could have some impact. But short of bankruptcy, which might impact a lender’s ability to foreclose on a home, or short of death, which might limit a lender’s ability to recoup money due — any other personal problems that led to financial difficulties would nevertheless still obligate both parties, and still impact both parties’ credit ratings. So, the question now is, what can you do to repair his damaged credit? I assume their divorce has been finalized. But if the mortgage is still outstanding, he needs to make sure he’s no longer on that mortgage. One way to do this is to insist that his ex-wife refinances the loan completely and has it only in her name. Another option is for her to sell the home. If she can’t or if she refuses to do either of these things, the next best alternative is for him to try to make sure all past due house payments are up to date. Is this fair? No. Will it help his credit? Yes. And while he’s at it, make sure he completely disentangles his finances with his former spouse. Cancel joint credit cards, close joint checking/savings accounts, and remove her as a beneficiary on his life insurance, will, etc. 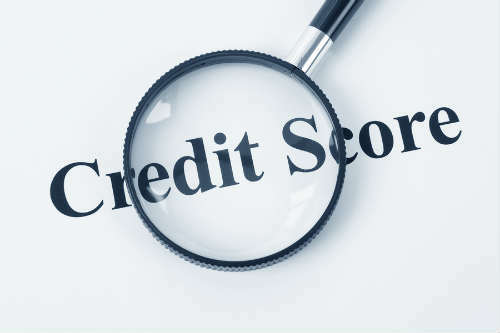 Additionally, he needs to isolate the problem and make sure that only that one instance, or that one loan, is what is showing up as a negative on his credit reports. In other words, he doesn’t want to have a late car payment, an outstanding collection on a student loan, and a credit card that’s overdue as well. All of that would suggest to a mortgage lender that he’s chronically late paying his bills and is not a good financial risk. He should also pull his credit reports to make sure that any mistakes or inaccuracies, or any outdated information is removed from his credit reports. That can go a long way towards boosting his credit rating. While checking his Equifax, Experian and TransUnion credit reports, he should make sure his ex wife didn’t open any accounts in his name or using his social security number. Lastly, he should try to limit his credit seeking activities. In other words, he doesn’t want to start applying for credit for department stores cards, furniture loans to furnish the house, getting a new car loan, etc. You don’t want to do any of those kinds of things right before or while you’re in the middle of the process of getting a mortgage. All of that credit-shopping activity generates “inquiries” that can lower one’s credit score and jeopardize a home loan. So, those would be the four quick tips that I would offer to help him or anyone who wants to improve his credit standing after divorce. Also, tell him to allow a little bit of time to work through the process, because time does help to repair or improve damaged credit. 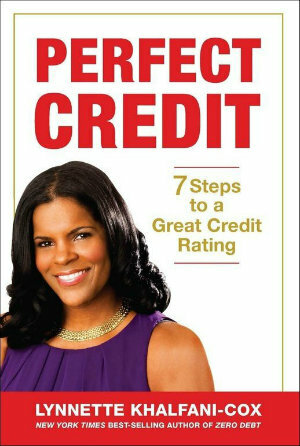 For additional advice and detailed tips on how anyone can get outstanding credit, check out a copy of my book, Perfect Credit: 7 Steps to a Great Credit Rating.